We’ve said it before, and we’ll say it again. The most significant challenge to effective email marketing is targeting recipients with relevant content, according to the MarketingSherpa 2011 Email Marketing Benchmark Report. The most effective tactic for increasing relevance is to send triggered emails, according to the report. In fact, 70% of consumer-marketers using email reported the tactic as “very effective” and 47% of B2B email marketers agreed. “Remarketing” emails are a type of triggered message that can be very effective. 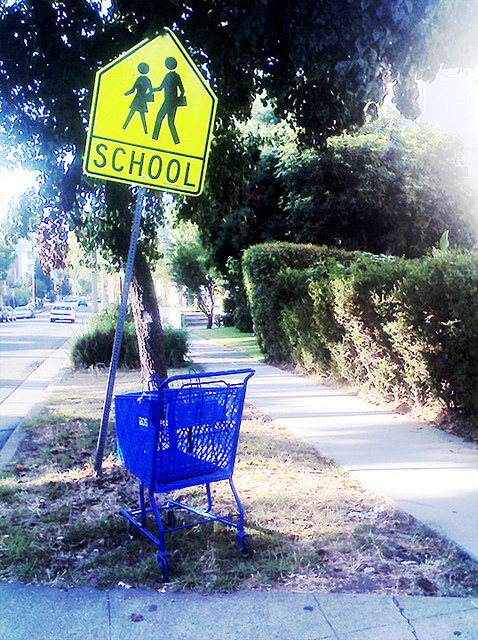 One example is an email sent after a customer abandons a shopping cart. The message lists the items left behind and encourages the customer to return and complete the purchase. Charles Nicholls, Founder and Chief Strategy Officer, SeeWhy, and his company specialize in abandoned-cart emails. Below, we’ve included his comments and tactics for improving your own. In February, SeeWhy crunched data from emails sent in response to 65,000 abandoned shopping carts across its roughly 1,000 clients (overwhelmingly B2C companies). The average metrics are much stronger than industry benchmarks, which Nicholls attributes to the high relevance of the emails. Ample industry research, including research from MarketingExperiments, emphasizes that the email should be sent immediately after the customer abandons the cart. Even waiting a single hour can pound your performance. Tell customers that they left their cart and you want to help. Provide relevant information, list your contact information and add a link directly back to the abandoned cart. The top two reasons customers abandon carts, Nicholls says, are price and timing. You can overcome the price issue by offering a discount, but this should be avoided. You’re likely to win back customers, but you’re also likely to condition them to abandon more carts in the future. If you want to test a discount, Nicholls suggests doing so in the third and final email of a sequence. Of course, these tactics are only a starting point. Nicholls suggests marketers run tests to find the best approaches to fit their markets. One test he suggests applies to companies that offer free shipping after a certain price level. Thank you for the article Adam. Very concise and timely. A suggestion for next time would be to include all the companies that specialize in abandonment remessaging, aka retargeting, such as my own, FetchForce.com. All the companies in the field offer the same base service and have different price points and additional services so it would be good to give your readers a complete view of the choices they have. Hi Lucas — thank you for the suggestion. I will be sure to keep your company in mind for future articles and blog posts on this topic. Adam – Great article and the focus on tangible suggestions is particularly useful. At Klaviyo (email marketing platform for eCommerce and Web which I co-founded), we do a lot of remarketing and abandoned cart emails and something we’ve seen work really well for our eCommerce customers is varying message across the three email series – so the first message references the abandoned cart and shows the items, whereas the 2nd and 3rd might be more focused on highlighting other reasons to return, promotions already going on, etc. If I had one piece of advice for most stores, it’s to start small and send that first remarketing email. The biggest block is getting started.